A Monument for Archaeology or Feeding Cattle? Canyons of the Ancients National Monument, located in southwestern Colorado, boasts one of the highest known densities of archaeological sites in the nation. With more than 5,000 recorded sites—pueblos , kivas, springs, prehistoric agricultural fields—thousands more lie undiscovered. The BLM is considering opening this outdoor museum to cattle grazing, and we need your help to convince them otherwise. 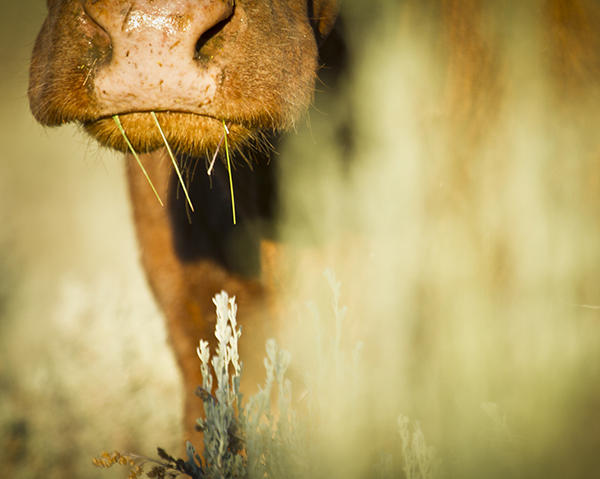 On MONDAY, November 23, the scoping period ends for a proposal to allow cattle to graze in two desert tumbleweed-choked allotments in Canyons of the Ancients National Monument after a 10-year hiatus. Please consider sending a comment to the BLM, encouraging them to support the Sustainable Grazing and Recovery Alternative submitted by the Grand Canyon Trust, Great Old Broads for Wilderness, and Western Watersheds Project. Take a look at some photos of the allotments here. In March 2015, eagle-eyed Rose Chilcoat, Associate Director of Great Old Broads for Wilderness, sprung into action after reading a tiny notice in the Durango Herald. The ad invited ranchers to apply for permits to run cattle in two allotments (Yellow Jacket and Flodine Park) in the monument, which hadn’t been grazed for 10 years except by trespassing horses. The rancher who previously held the permits to run cattle in those two allotments had quit grazing there in 2005. Rather than change grazing practices to meet the minimal BLM “Rangeland Health Standards,” the rancher decided to move his cows to greener pastures. Ten years passed, and then in March 2015, the note appeared in the Durango Herald. With thousands of archaeological sites already recorded, sparse vegetation, a Russian olive invasion along the few creeks, and thousands of grazing-damaged acres covered by cheatgrass and tumbleweed, Rose didn’t think sending cattle back into the two allotments made sense. By early August, Advocates for the West filed a formal complaint on behalf of seven conservation groups and a professor to protest the BLM’s plan to reintroduce cattle without assessing conditions and options after 10 years of no cattle. The BLM agreed to do a new analysis and environmental assessment. And that’s where you come in. Allow light grazing (30 percent of plants could be used as food) in Flodine Park during months when the ground is frozen, as called for in the monument’s management plan to protect biological soil crusts. Partnerships could be established to remove Russian olive and tamarisk to improve the health of the land. Read the entire proposal on pages 8-11 of the scoping comments, which also discuss why these changes can and should be made by the BLM. It’s short notice before the scoping period officially ends November 23, but your comments a few days later would still be accepted. Help protect archaeological resources at Canyons of the Ancients National Monument by submitting your comments to the BLM today! There is utterly no excuse for reinstituting livestock grazing on these allotments in CANM. The economic impact of such livestock grazing would be minimal to non-existent, and the mission of the Monument would be further degraded by allowing livestock back into these sensitive and culturally significant places. Please keep Yellow Jacket free of livestock grazing (except up to 25 percent of the acres could be used for collaboratively-developed experiments) Allow light grazing (30 percent of plants could be used as food) in Flodine Park during months when the ground is frozen, as called for in the monument’s management plan to protect biological soil crusts. Partnerships could be established to remove Russian olive and tamarisk to improve the health of the land. The Proposal for Sustainable Grazing and Recovery submitted by Great Old Broads and Western Watersheds Project is a sensible resolution for this issue. no cattle grazing on archeological sites - please! please - no cattle grazing on archeological sites! I believe that BLM should not reinstate livestock grazing in these CANM allotments, and that these areas should have the opportunity to further heal. Livestock grazing can harm sensitive riparian habitats and cultural resources and may contribute to the colonization and spread of noxious and invasive weeds. Under relevant law and BLM policy, the protection of the CANM's biological and cultural monument objects should be the top priority. Voice your support for the Sustainable Grazing and Recovery Alternative! Ask the BLM to limit cattle grazing in Canyons of the Ancients National Monument.